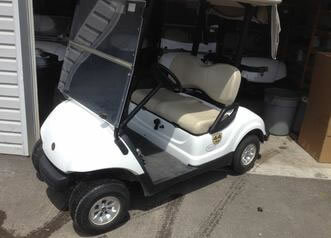 Rental Pricing for Golf Carts at Valley Golf Cart Repair. All prices include fuel for the day of rental, and delivery & pickup of golf cart. Delivery Fee is included in pricing, subject to change in pricing if delivery is a significant distance. Wedding Rates: $70.00/day/cart, minimum 3 carts, minimum 2 day rentals. Weddings are subject to $200 deposit, which will be returned upon pick-up, as long as no damage has occurred to the golf cart. Golf Course Rates: We no longer offer daily rentals for golf courses. We are only providing weekly, monthly or seasonal packages. Please contact with dates, and quantity. Discounts can be offered for multi-day events. Please provide 10 days’ notice if you require a 4-seater. Please provide 10 days’ notice if you require a Golf Cart with a Utility Box.